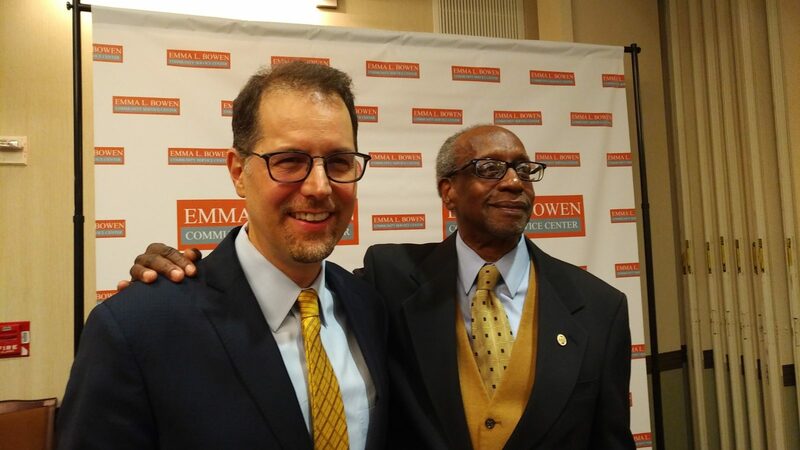 E. Ronald Guy, Chair of Ryan Health’s Board of Directors, congratulates Council Member Mark Levine, the recipient of the Community Leadership Award at the Bowen Center’s Humanitarian Awards Reception. The Emma L. Bowen Humanitarian Awards are presented to individuals and organizations who provide exceptional leadership and unfailing dedication to community-based initiatives and to those in need. The fundraising reception enables the Bowen Center to continue life-sustaining services, such as the Therapeutic Preschool, food pantry, and mental health services for children and adults.